Built tough for serious hunters. Proudly made right here in the USA, this Beman ICS Bow Hunter Arrow will hit the mark every time with excellent power, speed, and penetration. 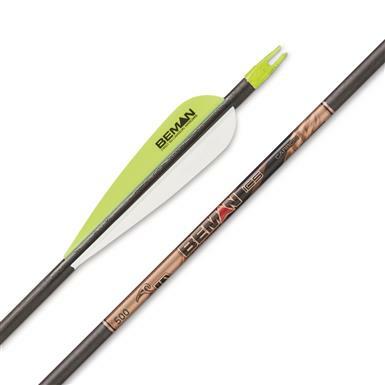 Each Arrow is made from durable carbon fiber and comes with pre-installed CB insert and S nock. Spine @ 28" Span: 0.340"
Spine @ 28" Span: 0.400"
Spine @ 28" Span: 0.500"